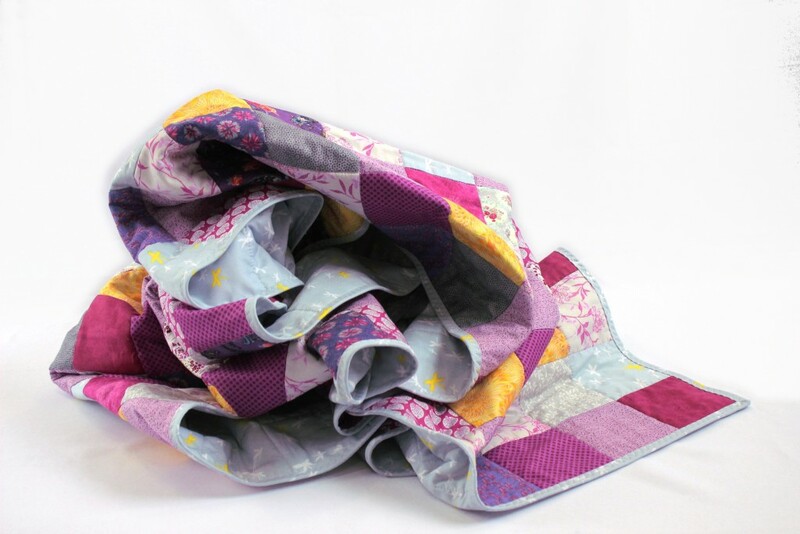 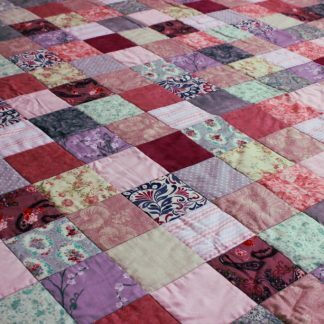 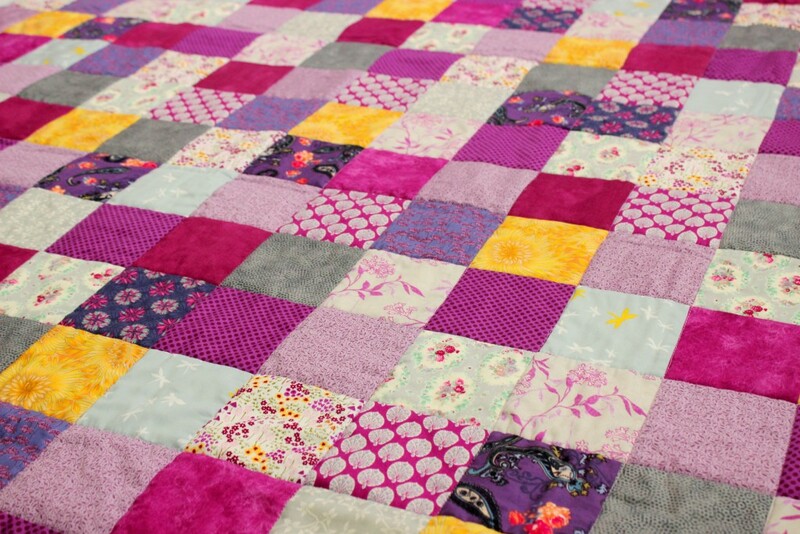 A pure cotton quilt in rich purple and pink berry colours. 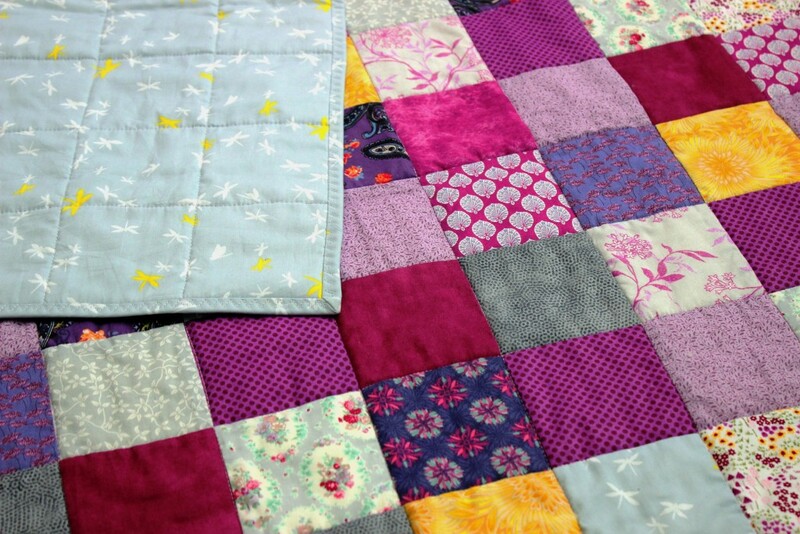 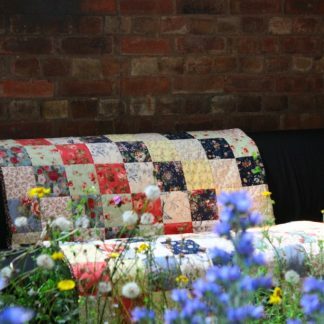 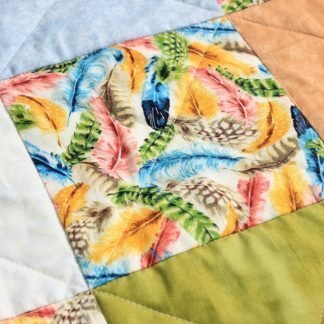 Interspersed with cool grey tones and a few pops of yellow to give the quilt a little dash of sunshine. 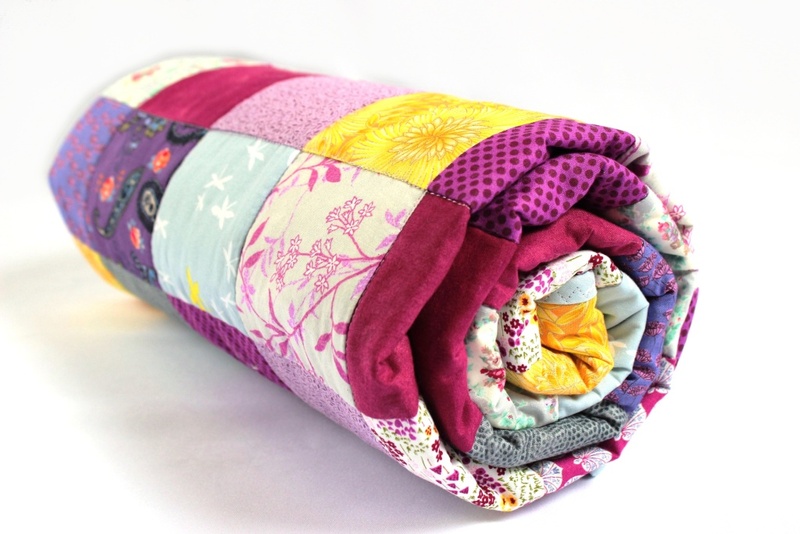 The back is grey featuring dragonflies in white and yellow.